Win a Penny Skateboard prize pack! I just took up longboarding a few months ago. This Penny Skateboards giveaway is brought to you by Absolute Board Co. 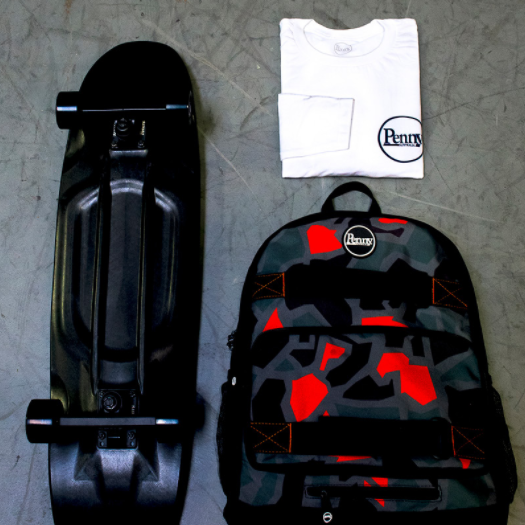 The winner of the prize pack will get a 32" Penny cruiser skateboard, a Penny backpack, and a long-sleeve Penny shirt. That's a total value of about $200! Even if you don't want the skateboard, the backpack is pretty cool. Easy to carry as it just slips on your back, offering great style for those looking for a travel bag or just a good looking backpack for school. 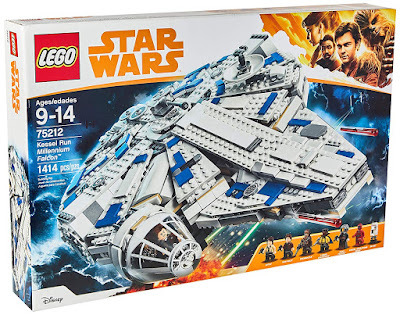 This giveaway is open worldwide and ends at 11:59pm PDT on February 16, 2018. This next author is from New England like me. How fitting. Aside from her family and her Savior, Robin has two loves - writing and traveling. If she could combine them, she’d spend a lot of time sitting in front of her laptop at sidewalk cafes and ski lodges and beach side burger joints. What happens when a woman marries her greatest enemy? When Rae runs with her infant in Convenient Lies, she lands in the arms of her first love. Brady determines to discover all her secrets. What he learns could destroy them all. So many things. Sometimes, something I see on TV or read about in the news will inspire a new story. Most of the time, I just get these random images. For instance, in Convenient Lies, I got this image of a woman returning to her hometown with a newborn. She was alone, and I knew she was running from someone, but I had no idea who, or why. I didn’t know where the baby’s father was. I didn't know why she’d gone home. But from that image came the story, which led to a four-book series. The last book in the series, Innocent Lies, was inspired by another image. A little boy alone in the wintry woods. Again, I had no idea who he was or why he was there, but the story started to take shape, and once it did, I had to write it. Inspiration is a mystery to me, one I don’t want to solve. I love the surprise of it, the magic. If I write without stopping, I can write about 130 pages per month, so it shouldn’t take much more than three months to write an entire novel. The problem comes with that, “if I write without stopping” thing. Because sometimes, I get stuck on a story issue and can’t figure out how to fix it. And then I get distracted, because there’s always the lie that I’ll just finish this, and then I’ll get back to the book. But there’s always one more “this” that needs to be finished. So often, it takes four or more months to write a full-length novel. But I’m working on that. Just one? Oh, my. Well, I’d say the most important tip to being a great writer is to be a writer. Writing is like any other skill. The more often you do it, the better you’ll be. 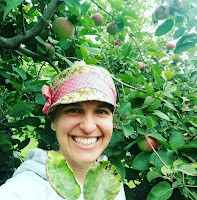 If I could offer a second tip, it would be to read a variety of books, some in the genre you want to write and some outside, and analyze them to figure out what works and what doesn’t. Well, you probably mean “besides the Bible,” though perhaps not as many would give that answer as I would hope. Is it too cliché to say the Harry Potter series? I personally find the entire series to be extraordinary. Yes, sometimes the overuse of adverbs and other writing foibles get on my nerves, but what an amazing story of good vs. evil, of weakness prevailing over darkness, of love prevailing over evil. Would that I could create such stories. 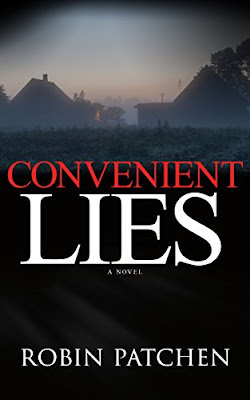 Robin Patchen and I have partnered up to give away a few items - one lucky Giveaway Guy reader will win a paperback copy of Convenient Lies and another reader will win a $20 Amazon gift card. Wouldn't it be nice to wipe off sweat at the gym or get dry after a dip in the pool? 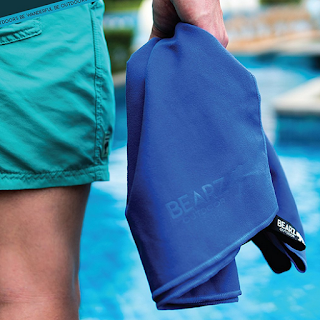 Enter BEARZ Outdoor and it's new product, the microfiber towel set. Whether you use these towels for sports, camping, or the beach, the cloth is perfect for the outdoors and your travels! Wipe your sweat off at the gym, lay on it at the beach, get dry after the pool, bring your BEARZ Outdoor towel with you! The towels are made of a soft, super absorbent, antibacterial microfiber material that will smoothly wipe away any sweat or unwanted water from your skin. The towels pack up compactly and conveniently to fit in the included carry bag, which even has a water-resistant pocket. The towels are quick drying, so simply use the adjustable hang loops and let the towels dry wherever you are. Here's what I like that kind of flies under the radar - the towel material is great for the golf course. Use it to wipe down your clubs, golf ball, or just your own sweat or whatever. The large towel set includes one large towel, one medium towel, one face towel, and two carry bags. 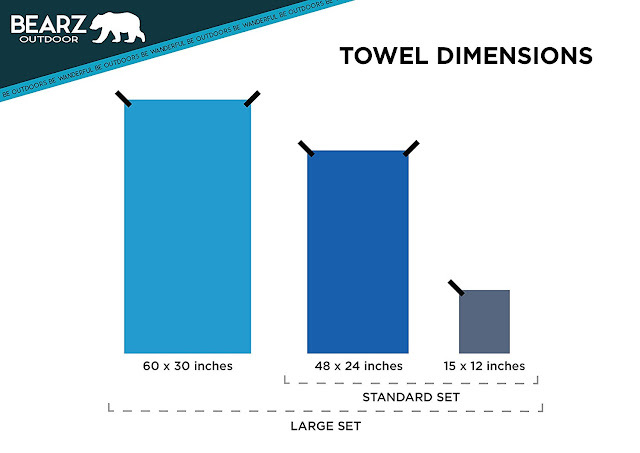 If you don't think you'll need the 60x30 towel, go with the standard set. Now... who wants some microfiber towels?! The folks at BEARZ Outdoor have been gracious enough to offer their large microfiber towel set to one lucky Giveaway Guy reader. 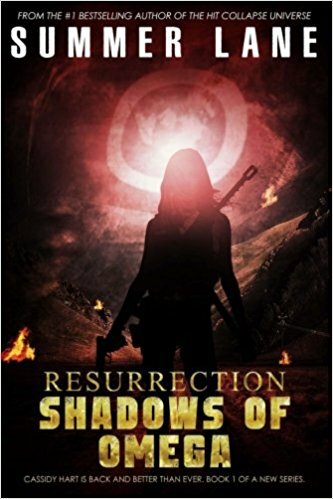 Amazon gift card & Summer Lane's "Resurrection: Shadows of Omega"
This is a guest post authored by Summer Lane. Summer Lane is the #1 bestselling author of 20 hit novels, including the popular Collapse Series and newly launched Resurrection Series. 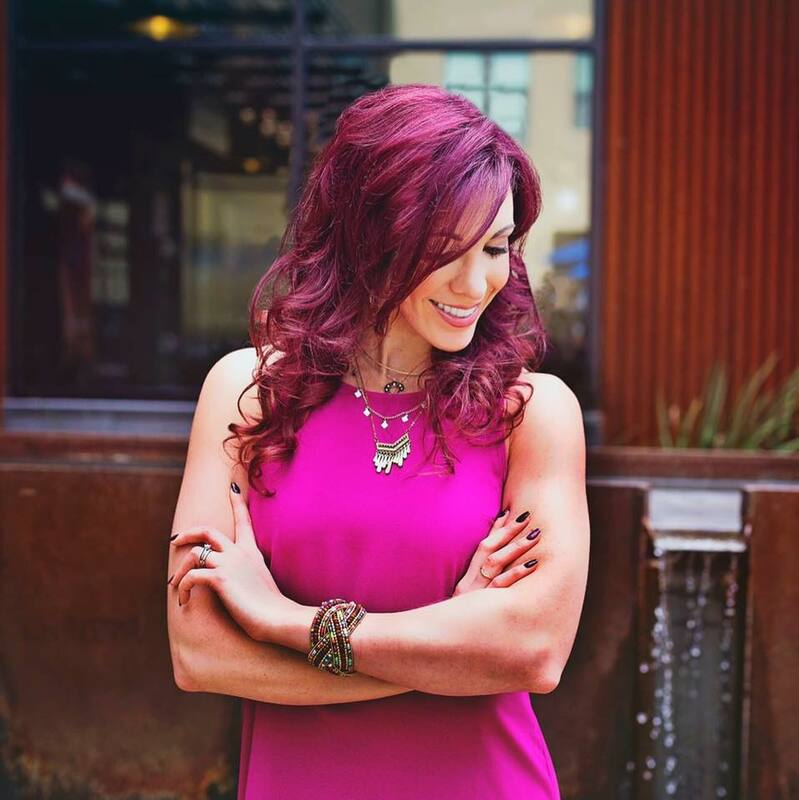 She owns Writing Belle (an online magazine) and Writing Belle Publishing (a management company). Summer is also an experienced writing instructor and journalist. The world is a different place. From the ashes, structure emerges. From death, hope blossoms. Yet the shadows of Omega remain. Omega loyalists and dangerous anarchists infect every level of the crestfallen civilization, threatening to undermine the Republic’s attempts to maintain peace. Most of the world’s population has been slain: those who remain alive have very different ideas about what must be done to continue to survive. It’s hard to quantify how many times people asked me as a teenager, “What are your plans after high school?” I would usually reply with something like, “I’m going to major in journalism and work on my novel.” I wanted to be a writer, but I wasn’t sure how I was supposed to do that without starving to death. Making a living as a writer is pretty difficult, especially if you’re betting everything on a book that may or may not sell. Add to that the fact that I had no major publishing house behind me to promote my work or get it into the hands of the public, and I was a little overwhelmed. Suffice it to say that since I wrote my first novel and started Writing Belle Publishing, I’ve been blessed to find success. But I will say this: it wasn’t easy, and it certainly wasn’t luck. In this business, it hasn’t necessarily been any one thing that has helped me fight my way to the top of the proverbial dog pile. It’s been many things put together. It’s been the people I’ve worked with, the stories that I’ve written, the things that I’ve learned, and the failures that have paved the way to where I am now. I think what helps to keep what I do fresh and exciting is that I’m always setting the bar high for another project – always looking ahead, never behind. I have never taken my eye off the prize. I share this with you because the question I get most is “How did you sell as many books as you have? How do you keep selling them?” I say, focus. Determination. The willingness to accept failure and turn it into a learning experience, so that you will know which mistakes to avoid next time. I’ve done so much in publishing, that here, at the age of 24, I feel that I have only just barely broken the surface of my career. There is so much more I have to write about, and so much life I have to live. Every experience, to me, is a new inspiration. 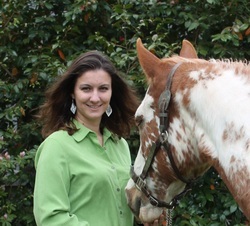 Not only am I working as a writer and an instructor, I’m also a student of veterinary science. I find that working with animals and being outside helps to cleanse my mind from the stressful whirlwind of deadlines and publishing pressures. I feel that no matter what happens – and no matter how old I am – I will never be too old to stop learning. So here, before 25, I release my 20th book into the world. I thank all of my readers for being here on this journey since the beginning. Cassidy Hart has been the backbone of my publishing success, and I will never, ever forget that. I will always be proud of her and everything that she stands for. Here’s to the next 20 books. So who wants to win something?! Summer Lane and I have partnered up to give away a few items - one lucky Giveaway Guy reader will win a paperback copy of Resurrection: Shadows of Omega and another reader will win a $20 Amazon gift card. Three small-town young women face big-time battles. If your writing journey, like that of Diana Anderson-Tyler, has proved much more than a transient phase, then you've likely discovered that pursuing your passion as an adult is no longer like playing in a sandbox. 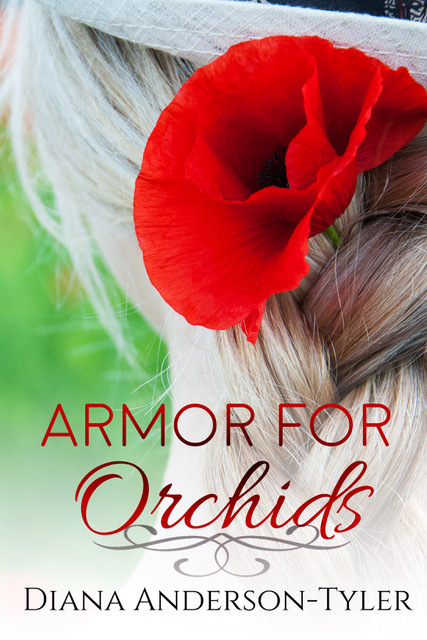 Armor for Orchids is a story of hope, inspiration, and life-changing belief. After suffering a heart-aching breakup, Marissa retreats into herself, over-exercising and depriving herself of food. When she takes on an acting role portraying a mysterious woman named Poppy, she realizes that to find joy again, she must fight for it. Still reeling from the void left after her father died, Elise fills the space with short-lived thrills and flings, each leaving her lonelier than before. But when she meets Brady Bradshaw, the lead actor in a movie being filmed in her hometown of Bluebonnet, she finds herself drawn to something more than his charm and good looks. The honeymoon phase ended long ago for Charlotte and her husband, who pays more attention to his phone and sports than to her. After meeting handsome, blue-eyed Wes, her imagination shifts from the fantasy world of her romance novels to reality. Will she strive to save her marriage, or will lust and apathy undermine what she knows is right? Poppy McAdams calls these women the Orchids. Despite barely knowing them, this sage older woman assigns each a particular species of orchid, one that reveals what they struggle against and how to fight back victoriously. Her own life has been rife with hardship and heartache, but it serves the Orchids well as they learn to trust in God’s work. Inspiration, to me, is most often birthed from life experience – the peaks, the valleys, the smooth seas and the storms. When I allow myself to draw from the well of my own life, I find inspiration flows infinitely more freely. When I try to leave my personal life out of my work by suppressing memories and refusing to reflect, my writing suffers because I’m not allowing myself to be vulnerable. As Brené Brown says in her popular TED Talk on the power of vulnerability, to be vulnerable is not weakness. Rather, it’s “our most accurate measure of courage.” If I don’t feel somewhat nervous or vulnerable when I’m writing, I’m not being courageous. I’m not giving my all. It depends on the genre and how many point-of-view characters I have. Each book in The Petros Chronicles (a fantasy series with four POVs) took me a little over four months to write. The current series I'm editing, the Orchid Series, features one point-of-view character per book; they each took me just over three months to write. I'm actually working on a TV sitcom pilot! I majored in screenwriting, so it's been fun getting back to my storytelling roots! Write to express yourself. Write to explore. Write to play. Write to find light in darkness. Write to find hope in despair. Write to find peace amid chaos. Wow, what a good - but tough!- question! I would say Till We Have Faces by C.S. Lewis. It's based on the ancient Greek myth of Eros and Psyche. As is all of Lewis's work, it's beautifully written and explores themes of love and its subtle counterfeits, sacrifice, self-deceit, and self-sacrifice. Lewis thought it "far and away" his best book, and most critics agree based on its imaginative scope. It's excellent! So who wants to win something?! Diana Anderson-Tyler and I have partnered up to give away a $50 Amazon gift card to one lucky Giveaway Guy reader. Escaping north is her only option... And he’s the only one with the skill to get her there. 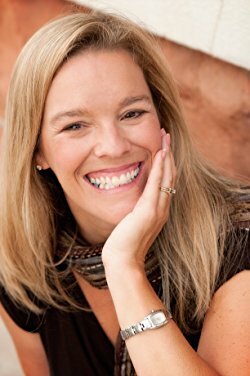 Misty M. Beller writes romantic mountain stories, set on the 1800s frontier and woven with the truth of God’s love. She was raised on a farm in South Carolina, so her Southern roots run deep. Growing up, her family was close, and they continue to keep that priority today. Her husband and daughters now add another dimension to her life, keeping her both grounded and crazy. Writing is a dream come true for Misty. Her family, both immediate and extended, is the foundation that holds her secure in that dream. Ooh, that’s a great question! I’d have to say a good story inspires me. Most of my books are set in the Rocky Mountains during the 1800s, and I love those remote frontier settings. A great story in that setting inspires me! Approximately three to four months, depending on how long the book is. I’ve usually been thinking about those characters and their story for a while, though, while I’m writing the previous book. By the time I finally get to write about them, I’m ready to dive in! 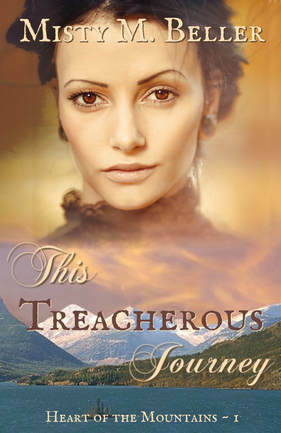 I’m writing a novella for my current series, set in the 1830s in the Canadian Rocky Mountains. It’s called This Freedom Journey and will be part of novella collection that releases in the summer. If readers would like an alert when it releases, sign-up here! Get connected in a good national writing group. I’m part of American Christian Fiction Writers, and there are lots of groups out there for almost any genre. These groups provide excellent opportunities to learn the craft of writing, marketing, and networking. I wouldn’t have lasted long as a writer without ACFW! Hmm…That’s a tough one! Fiction can be so subjective, depending on a person’s tastes. There are some great non-fiction books, too! If I had to pick just one, I’d say the Bible. Misty M. Beller and I have partnered up to give away a few items - three lucky Giveaway Guy readers will win a paperback of This Treacherous Journey and another reader will win a $20 Amazon gift card. Need a bit of nostalgia and mystery in your next book? If you missed the previous feature of this author on my blog, then here you go! Back in 1997, Kimberlee Ann Bastian went to a sleepover birthday party and watched a horror movie based on a Stephen King novel. (Anybody see "IT" recently?) The very next day she began to type her first short story and knew it was her "density" (BTTF reference) to be an author. 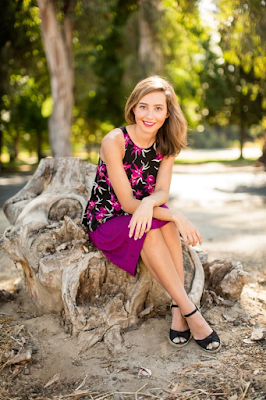 When she isn't writing or consuming other literary worlds, she enjoys hiking, cycling, and catching up on her favorite pop culture. Kimberlee has a love affair with American nostalgia, mythology, and endless possibilities. 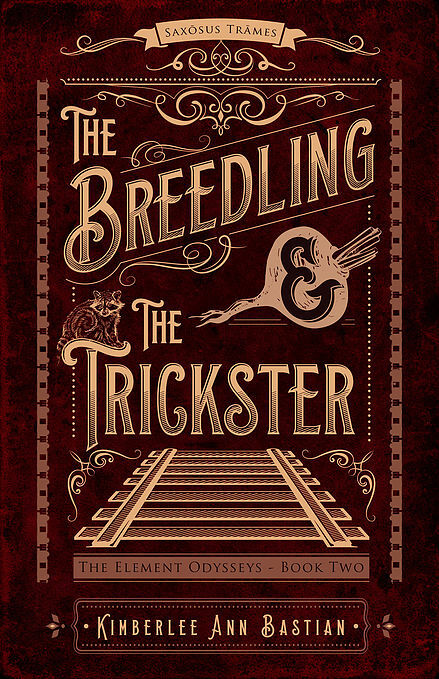 This melting pot of elements is what prompted the creation of her epic Element Odysseys series, starting with her debut novel, The Breedling and the City in the Garden. 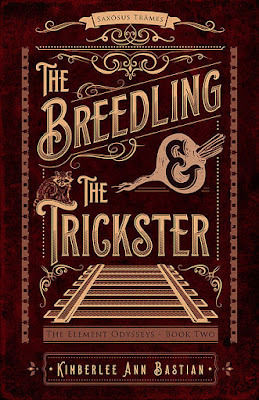 A year later, it was then followed up with the second book in the series, The Breedling and the Trickster, which released mere weeks ago. And now, the moment you've been expecting... Who wants to win something?! Just like last time, Kimberlee Bastian and I have partnered up to give away a couple items - one lucky Giveaway Guy reader will win the paperback series Element Odysseys and another reader will win a $20 Amazon gift card. Did you know February is canned food month? Giving canned food is a great way to get the community involved in helping those who are less fortunate. Food drives give organizations like youth groups a real sense of contribution. When donating canned goods, there are certain items that charities can almost always use - protein products like peanut butter, shelf-stable milk, and tuna fish. These foods can be too expensive for lower-income people. It’s also important to make sure you’re giving food that's healthy. For example, donate fruit that's packed in light syrup rather than heavy, tuna that's packed in water rather than oil, and low-sodium veggies. So in celebration of canned food month, I'm going to get in the spirit of giving and offer a nut & fruit gift basket to one lucky Giveaway Guy readers. This promotion is in no way sponsored, endorsed or administered by, or associated with, Oh! 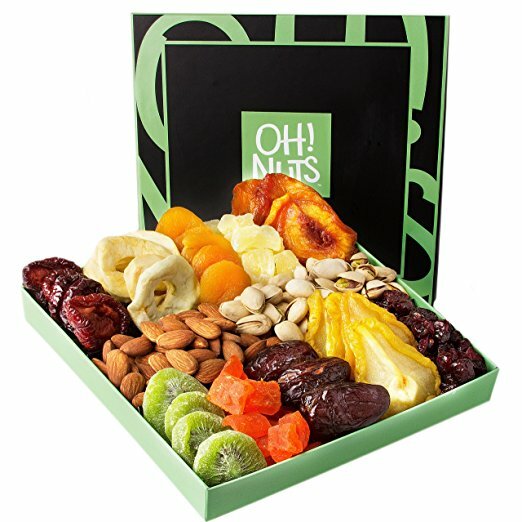 Nuts.